Conference is part of Constructed Painting, an exhibition in Level 17 Artspace, Victoria University, of the work of five artists—Nicole Ellis, Liz Shreeve, Francesca Mataraga, Rossana Martinez and Margaret Roberts. 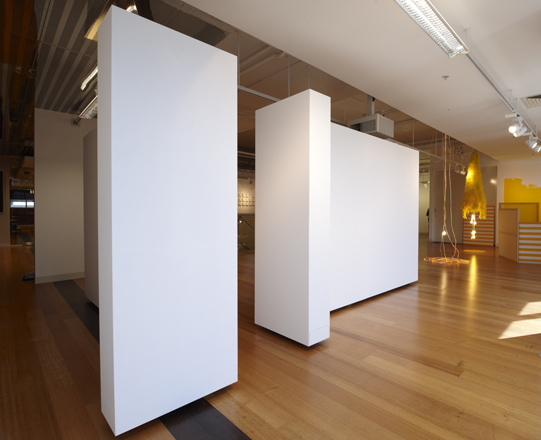 It uses two of the gallery's moveable walls by locating them in relation to each other and painting their wheels in multiple colours. The artist thanks Stephen Sullivan for his critical support in the development of the work.